We can help you visually engage with your audience. Visual communication offers opportunities to draw your audience in and make them feel something. We partner with you to create powerful stories in an effective and engaging way. Our expertise in graphic design and videography allows us to communicate your messages in the most informative and interesting formats. From beautiful illustrations to the engaging digital graphics, we strategically create visual messages that align with your brand and create an emotional connection with your audience. Telling your story through compelling video creates a lasting connection that moves people to action. We identify and shape the narrative of a video through scripting and editing to effectively garner attention and engage audiences in the story. 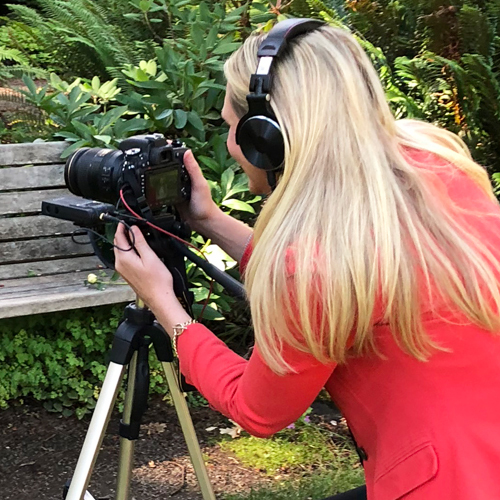 From promotional videos to personal testimonials to event recaps, we use video to share the dynamic perspectives within your brand and connect with your audiences. Photos tell a story without words. They engage with people on a more personal level. Our team can work with you to produce and select the photos that best share your brand’s story and display the compelling reasons for someone to care about your brand. Let us help you tell your brand’s story.